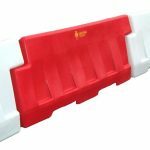 Eurobarrier® is a plastic road barrier ideal for the safe, effective and efficient separation of highway and site traffic. Suitable for on and off-highway use, Carbery Eurobarrier is ideal for use on construction sites to separate works traffic from non-works traffic. 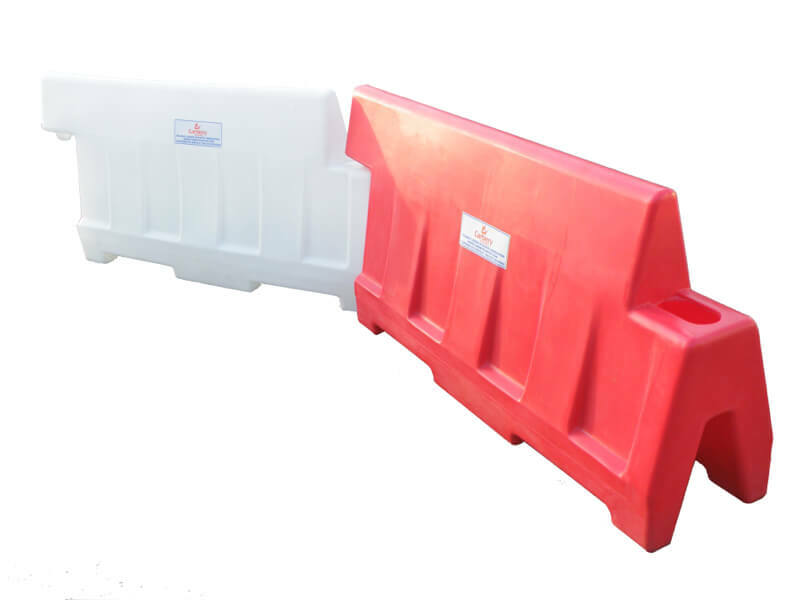 Safer than traditional cones, Carbery Eurobarrier units are today the preferred choice for road barrier applications across Ireland and throughout the UK. 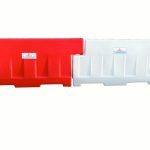 For complete flexibility, Carbery Euro Barrier 150cm sections can be arranged into squares, circles and lines, making it ideal for even the most complex segregation, contra flow and traffic management applications. Every Carbery Eurobarrier is manufactured from premium quality polymers and UV stabilised to protect against the potentially damaging effects of sunlight. 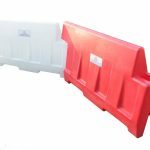 Easily handled, yet tough and durable, Eurobarrier road traffic barrier units can be part filled with water and transported to their final location whilst ballasted. 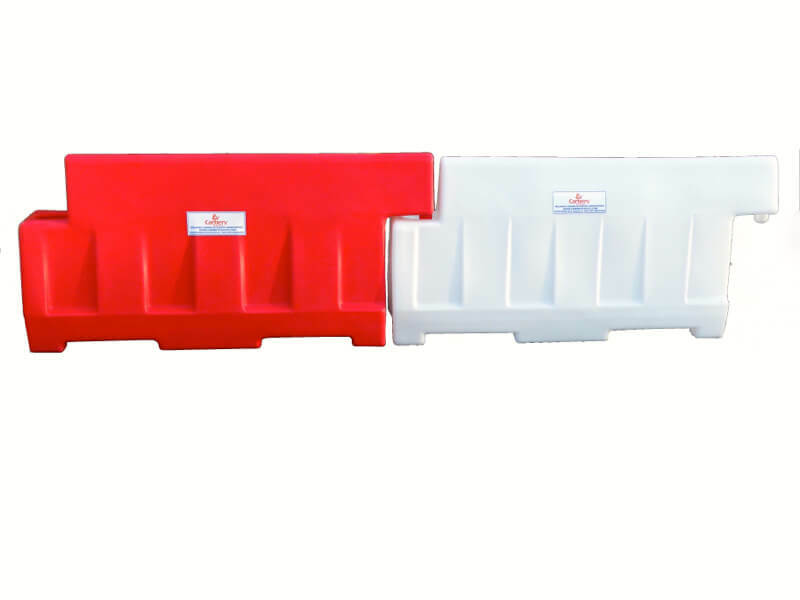 When not in use, each road barrier unit is cleverly designed to nest with other units for space-efficient storage and transport. Supplied as standard in either red (EURO150RD) or white (EURO150WT). 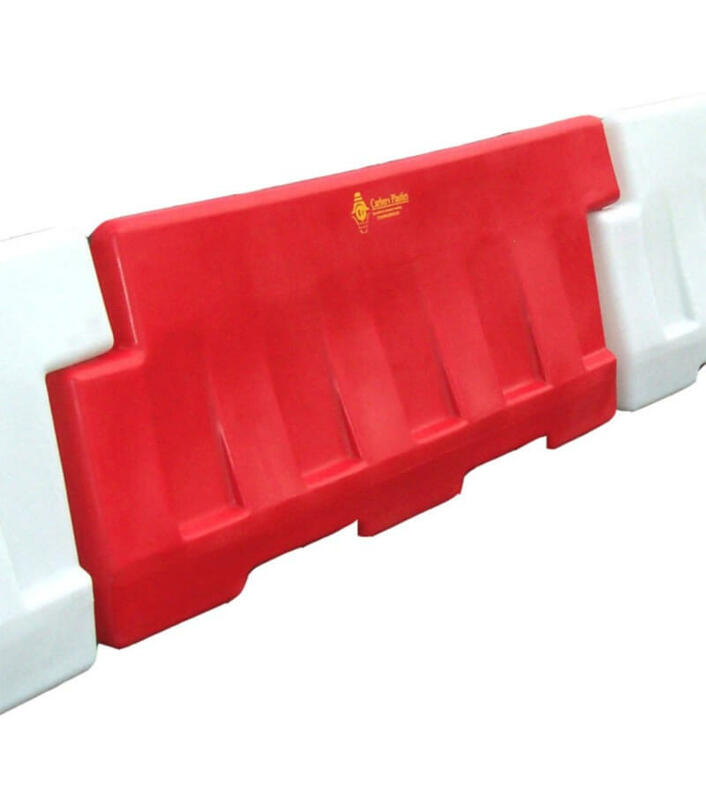 Carbery Eurobarrier 150 road traffic barriers are also fully connectable with the Euro 200 road barriers units.